IKEA will be removing all of its single-use plastic straws from both its product range - and its restaurants - from this autumn. The initiative, which will roll out on October 1, applies to all Ireland and UK stores, including future IKEA outlets and the online store. The home furnishings retailer said that the step is just the first of many it plans to take to remove all single-use plastic products by 2020. "The world is changing at a rapid rate and bold, urgent actions are required to meet the sustainability challenges we are facing. Plastic pollution is one critical issue to urgently address for a more sustainable future and is something our customers and co-workers are actively passionate about," Hege Sæbjørnsen, Country Sustainability Manager, IKEA Ireland and UK, said. As part of its People and Planet Positive strategy commitments for 2030, IKEA intends to design all of its products to be 100pc circular, generating as little waste as possible, and make all products and packaging from renewable and recycled materials. 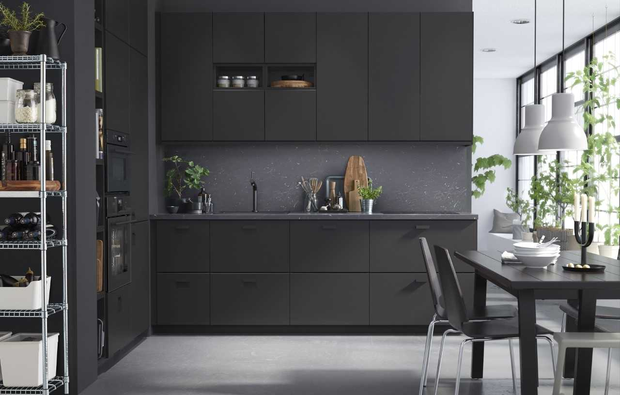 It also plans to reduce the total IKEA climate footprint by an average of 70pc per product, and to achieve zero emission home deliveries by 2025. The retailer is just one of many companies based in Ireland that is placing effort in becoming a 'greener' franchise. Supermac's is rolling out a new Glan agus Glas initiative across all of its outlets which introduces five significant changes across all of its stores. Paper straws are being introduced to replace plastic ones and only 100pc recyclable cups and biodegradable burger wrap will be used. To reduce unnecessary waste, dispensers are also being put in place for sachets and napkins in each outlet. The Happy Pear brothers were among the first to use a completely paper-free compostable cup launched by Irish global packaging solutions company Zeus. The Treefree container contains no paper product at all, unlike other copostable cups in circulation.